Stamp With Tam: Classes or Catch Up? Each month I try to run a class at my home for some of the local Ladies to get together and have a fun social morning and a catch up that doesn't happen as often as it should. 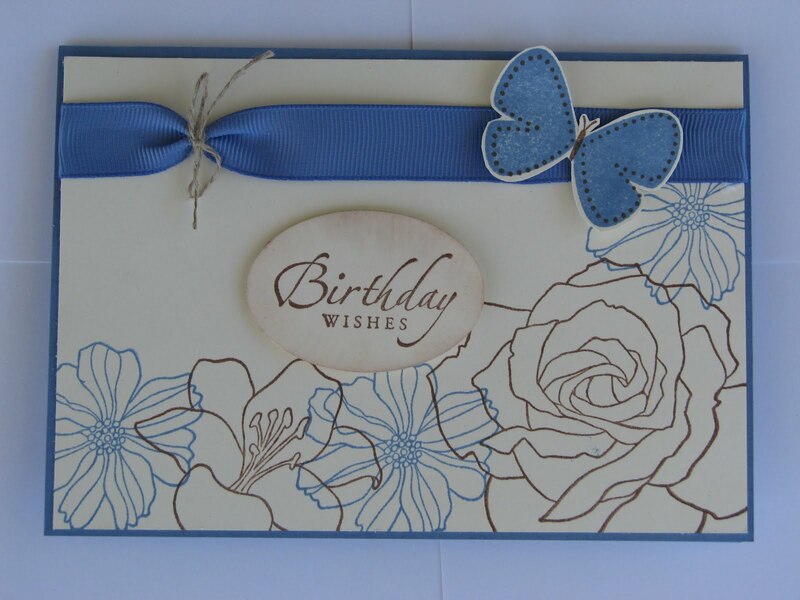 This month we are making this card pack using the Fifth Avenue stamp set and includes 3 cards matching envelopes and the cute little box to keep them in. 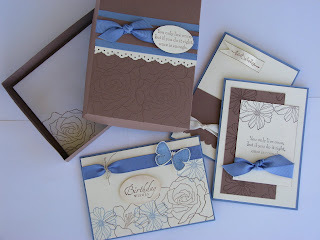 I have chosen to use Brocade Blue, Close to Cocoa and Very Vanilla card stock,ink and ribbon. 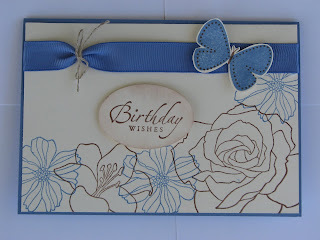 This one was my pick out of them I think because I have used the Butterfly from Flight of the Butterfly stamp set and that is my all time favorite stamp set. looking forward to the class, these look amazing.